Nusa Penida Island is part of the Bali District and of Klungkung regency but has its own history of conquests and dark magic. 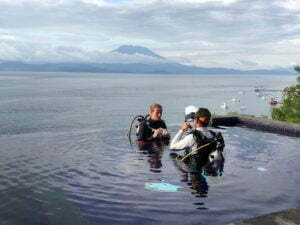 The history of Nusa Penida starts in the 10th century. 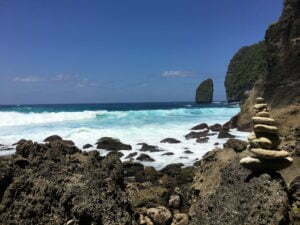 The earliest writings on Nusa Penida have been found on the Belanjong Pillar, which dates back to 914 AD. This pillar contains inscriptions that mention a military expedition of the first Balinese King, Sri Kesari Warmadewa, against Nusa Penida. The people of Nusa Penida have long been able to resist to the kings of Bali who organized many other military expeditions. However, in the second half of the 17th century, Nusa Penida was definitely conquered during an expedition of the Gelgel dynasty. The last king of Nusa Penida, Dalem Bungkut, perished in combat. 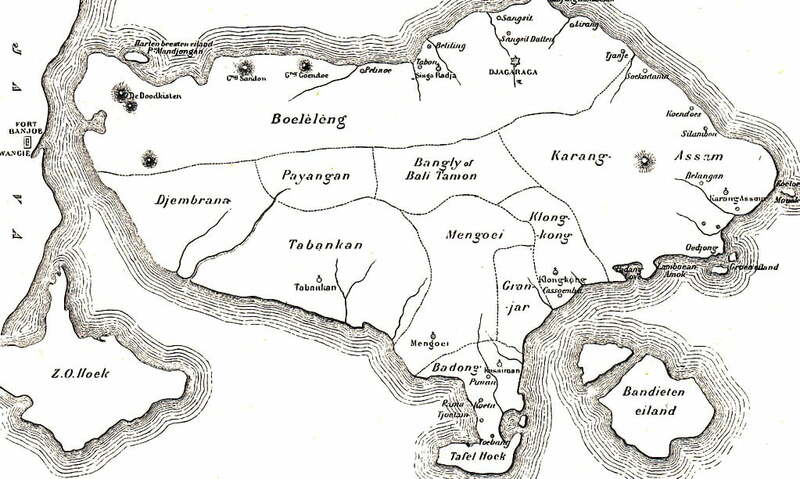 Nusa Penida becomes part of the court of Klungkung, one of the nine kingdoms of Bali. After the integration of Bali into the Dutch East Indies in 1908, Nusa Penida remained attached to the Klungkung Regency. A Dutch map created in 1900 calls Nusa Penida the Bandit Island. Why ? Because Klungkung regency used to deport to Nusa Penida its criminals, political opponents and black magic adepts. This is probably the origin of the very bad reputation of the island. 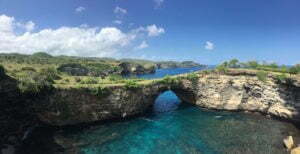 It is also maybe the origin of the legends that surround the history of Nusa Penida. In any case this bad reputation preserved the island of the tourism for a very long time! The reputation and the perfume of adventure surrounding Nusa Penida inspired also a comic strip created by the cartoonist Bob de Moor and published in the Journal of Tintin in 1950. 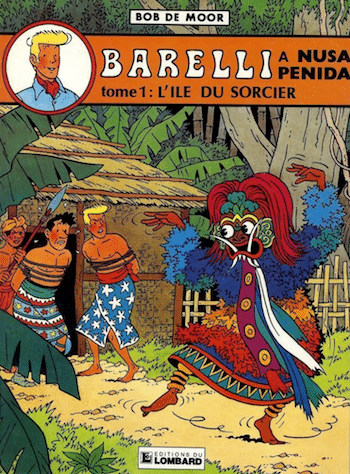 The comic strip traces the adventures of Georges Barelli that lands in Nusa Penida after a long adventure. The cover of the album speaks for itself ! According to legend, the last king of Bali, Dalem Bungkut, has become a dreaded leader of the other world. He becomes Ratu Gede Mas Mecaling, the Great Lord with golden fangs. 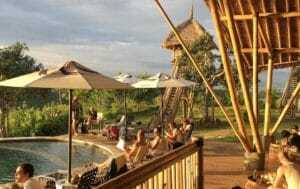 According to another legend, Mecaling lived in Bali, in the small village of Batuan, before being exiled to Nusa Penida because of his black magic. In any case, he is still feared by some Balinese who do not dare to pronounce his name aloud. Mecaling was a powerful wizard. He regularly sent diseases, epidemics and diseases to the Balinese people as a revenge. One day when the Balinese were celebrating Nyepi, full of joy and laughter, Mecaling decided to deceive them. He went to Bali taking the form of Barong, the leader of the good armies. And his army of demons destroyed everything in Bali. Since then, the Balinese New Year, Nyepi, is a day of silence, no one makes noise or has fun, to fool the demons if they come back. 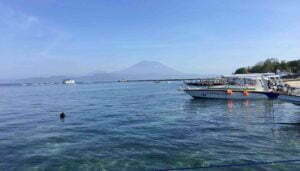 This is why Nusa Penida inhabitants follow strictly the Nyepi tradition. The next day, the terrified Balinese went to a priest. He summoned Barong to send Mecaling back to Nusa Penida. The high priests of Gelgel’s kingdom came later on to Nusa Penida to clean the island of dark spirits and banish Mecaling. But Mecaling has not totally disappeared and the Pura Ped Temple retains his spirit. This temple is therefore a source of power for those who practice black magic. But also a place of pilgrimage for those seeking protection from evil and sickness. There is also a solemn rite that every Balinese Hindu must perform at least once in this lifetime. During a pilgrimage to the temple of Pura Ped in Nusa Penida, he must find the balance between the negative and the positive that is the only way to reach calm and harmony.